Increasingly more people are looking to renting as an affordable, flexible lifestyle option, causing apartment vacancies to fall to their lowest point in 10 years. Reis reported that the apartment vacancy rate dropped to 5.2 percent in Q4 of 2011, down from their reports of 5.6 percent in Q3 of 2011. This higher demand for apartment housing means increased renting costs across the nation. 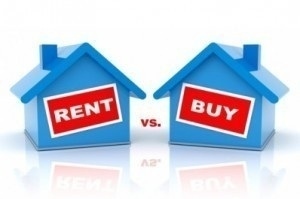 In response to this news, Apartments.com conducted a national survey to more than 3,000 of its January website visitors to find out about their 2012 moving plans, including reasons they are moving, why they are opting to rent versus own property, when they plan to move and which tools they value most during their apartment search. Apartment seekers currently in the market for an apartment are encouraged to read the following tips, from Apartments.com, to help them find the perfect place to live. • Identify “Need to Have” Versus “Nice to Have” Amenities: Before beginning an apartment search, identify which features and amenities are must haves. Different apartment styles and locations appeal to a variety of renters, depending on the demands of their day-to-day routine. Amenities like newer kitchen appliances and marble countertops, laundry or workout facilities may result in a more expensive apartment. People who are new to a big city may be surprised to find parking hard to come by or an additional expense. The best way to go about finding a place that meets the needs of one’s lifestyle is to create a list of necessities and conduct an online apartment search against that list. • Budget Wisely: When looking for a place, experts suggest rent should not exceed 25-30 percent of one’s annual wages. Take a look at income after taxes and subtract expenses. Be sure to include food, car payment, credit card, entertainment and phone bills as part of the expenses. Whatever is left is what apartment shoppers can afford for their new place. Keep in mind this budget will need to cover rent and other services like gas, cable, electricity and garbage pickup, if these are not already included in the rent. If it’s not already included, ask the landlord or property manager to put what is covered and what is not into the rental agreement. • Inspect an Apartment: Most shoppers wouldn’t buy a car without taking it for a test drive. So, why would anyone rent an apartment without seeing it first? Especially when a lot of the information to help narrow down the search, including apartment photos and videos, can be found online. On Apartments.com, walk-through video tours guide viewers through the interiors of apartments to help them pinpoint the places that meet their needs before scheduling an appointment. Once interested renters have arrived to the apartment, they should ask the landlord or property manager to give a tour and double check the appropriate safety fixtures (e.g. smoke detectors, fire extinguishers and carbon monoxide detectors) are installed and working. Also, test faucets, toilets and other pipes under cabinets for leaks in plumbing. Run a hand along the outside of the window to check for drafts. If there are any items that need to be repaired or replaced, make sure these are addressed before signing the lease. For more information, visit www.apartments.com.